With astronomer Dr. Tyler Nordgren! We will gather in Anchorage, Alaska, to begin our adventure. After our welcome in Anchorage, we’ll drive along the Chugach Mountains to Seward, near Kenai Fjords National Park. Here we will visit the Alaska Sea Life Center to see sea otters, seabirds, and a profusion of Alaska marine life. We will see Alaska’s major land mammals including grizzlies, moose, and muskox. 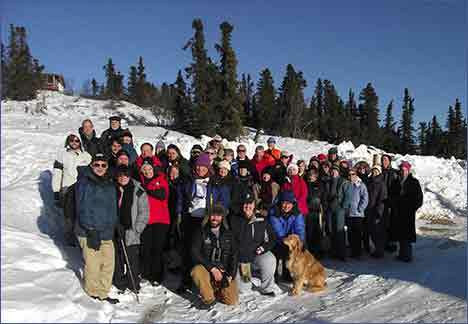 The following day we will explore historic Talkeetna and then take the classic train journey from Talkeetna to Fairbanks, passing North America’s tallest and most awesome mountain, 20,320-foot Denali en route. 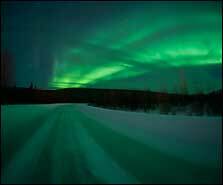 We will arrive in Fairbanks to enjoy the annual winter World of Ice Art Festival and learn about the Aurora Borealis at a scientific institute as we discover the delights of Fairbanks and the night skies. 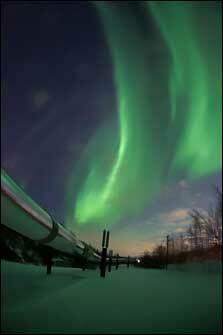 Our visits will include the Geophysical Institute at the University of Alaska, Fairbanks, which was established to study the Aurora and its effects. These studies have continued from the International Geophysical Year in 1957-58 and are conducted in both polar areas. They have added greatly to understanding the unique interactions between the Sun and Earth in the polar regions. 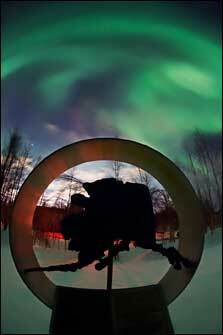 In Fairbanks we will go to two of the best locations in the evening to look at the Aurora Borealis: Mt. Aurora and Creamer’s Field. 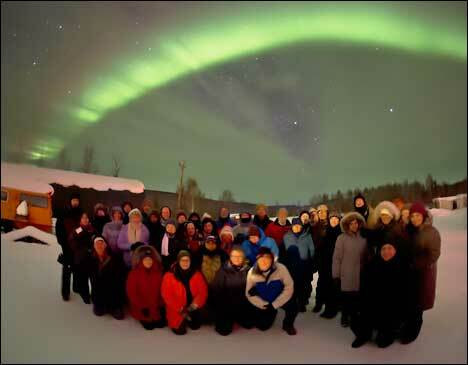 In these remote locations, we will enjoy hospitality in rustic lodges while viewing the Aurora. 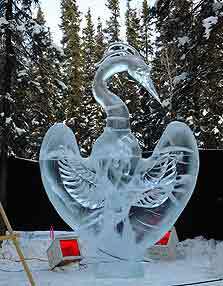 You will have afternoons to discover other delights of this snowy wonderland. We’ll see sled dogs and the local Curling Club will demonstrate this popular winter sport. 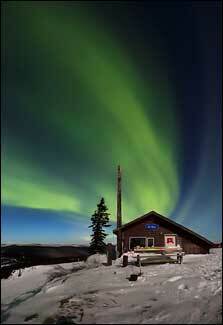 We’ll also visit the Poker Flat Research Range which launches rockets to study the Aurora Borealis. 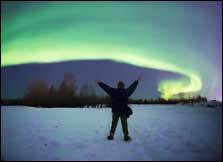 Dr. Tyler Nordgren who has led many Alaska Aurora Borealis Expeditions for us since 2016. 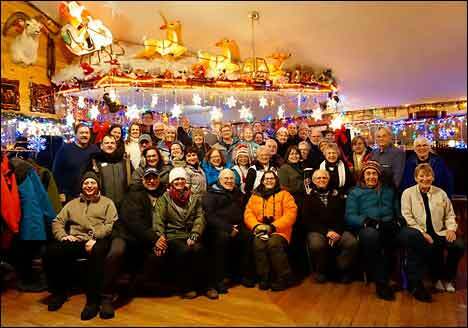 We invite travelers with an appetite for adventure and discovery to explore the day and night winter wonderland of our 49th state this winter! My photography skill is at pre-school level. Many thanks to Denis for his instructions by helping me utilize my camera. So I tried to shoot some Aurora photos during our trip. 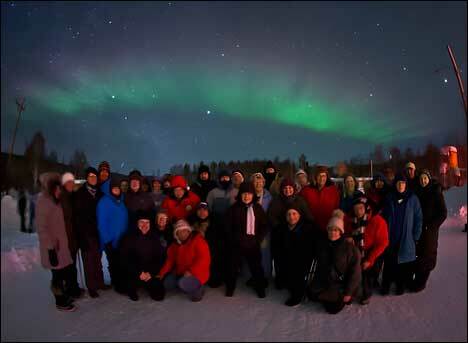 I do not have a wide angle lens, so I could only capture partial images of the Aurora we saw in the night sky.